promote a sense of partnership, reduce stress, and encourage healthy peer relationships. 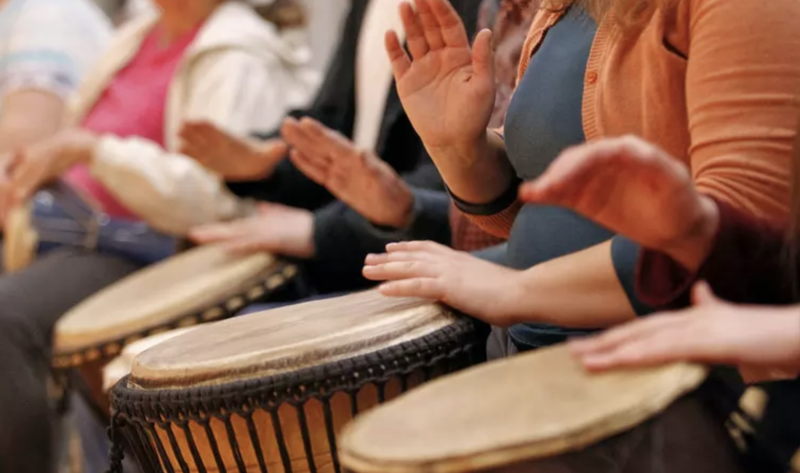 It's more than the act of drumming- it's a shared experience of the participants in a space where everyone has a voice and is empowered to use it. more efficient work place and increased employee loyalty and satisfaction. 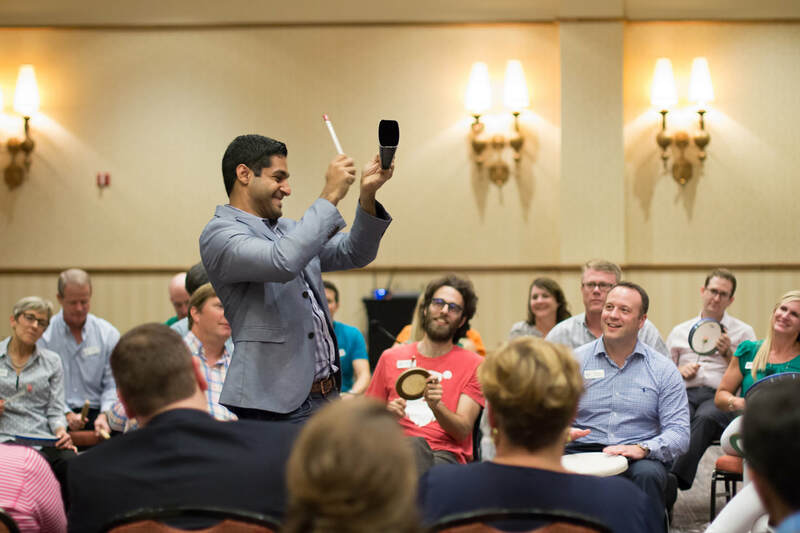 The science behind corporate drum circles have found increased employee retention, improved mood, and reduced stress- all to have a significant positive impact on the company's bottom line. If you would like more information or are interested to schedule, please contact us directly at info@playmusiccompany.com.